Crafted by a builder that makes some of the better-known mattress lines in the country, the Crestview Ivanhoe 8" is a medium-to-medium-firm gel-infused memory foam mattress that provides both a significant amount of support and a body-contouring plush feel. (The Gel within will help to keep your sleeping surface from getting too hot). 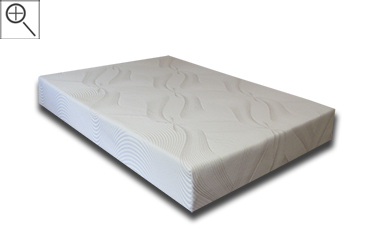 An 1831 Base Foam layer provides the durable and dense support system that your mattress needs, in its deepest layers. 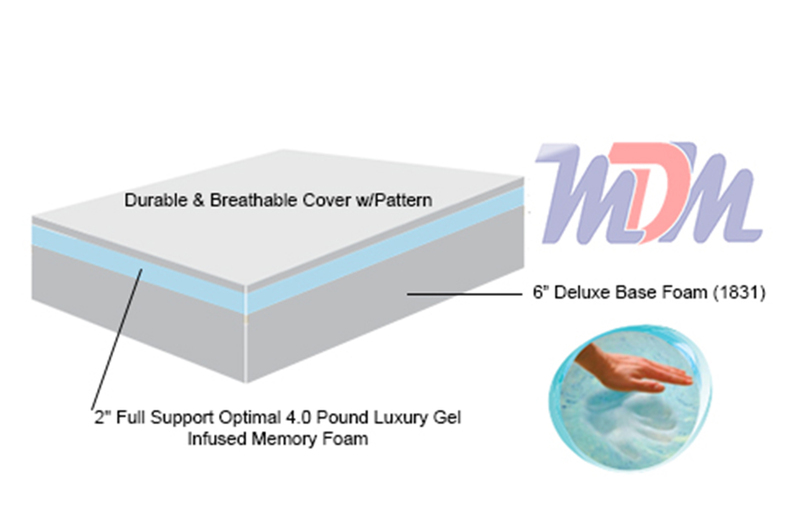 Above that, our maker has added two full inches of 4.0 pound luxury gel-infused memory foam. In addition to the support and comfort that this model provides, your mattress will also have a removable/washable cover that simply zips up around the bottom of the mattress. You'll receive your Crestview mattress very quickly - usually within two weeks of ordering! These are made-to-order; exclusively for Michigan Discount Mattress customers! Backed with a 20 Year Manufacturer Warranty, this maker truly backs its high-quality product! The Crestview "Ivanhoe 8" is exclusive to Michigan Discount Mattress and offers a very luxurious feel. 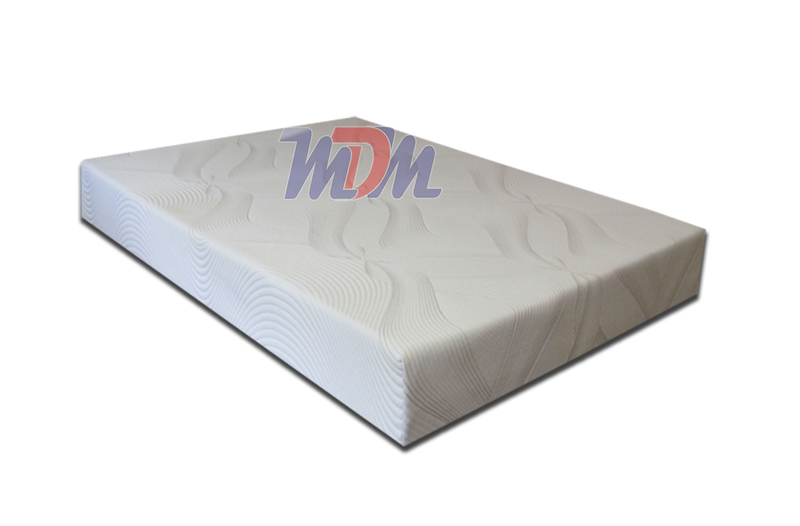 It's quite supportive and will satisfy the feel needs of those who like a firmer memory foam mattress but, it's also got a soft and body-enveloping top layer. Its gel-infused visco-elastic memory foam provides a cooler sleep and is CertiPUR. (Contains no toxins). Not only is this mattress assembled in the United States, it is actually 100% made here! A lot of research, pride and hand-crafting goes into the manufacture of Crestview Mattresses. This model can ship directly to you - no need for the "middle man". They are essentially made-to-order so, the amount of time that it takes the previously-compressed mattress to 'puff up' is minimal. The Crestview Mattresses are made for Michigan Discount Mattress and their manufacturer is responsible for building some of the most well-known mattress models and lines in the country! In all, the Crestview "Ivanoe 8" is a high quality medium-to-medium-firm memory foam mattress that is made from the highest quality materials. Highly recommended for those who wish to acquire a memory foam mattress that will stand the test of time. It also features a removable cover that can be removed, cleaned and zipped back onto the mattress. There aren't many comparable mattress models out there that will beat the price and value of the Ivanhoe 8".